Stelvio National Park is one of the largest parks in Italy and in the entire alpine range. It extends into the heart of the Central Alps, comprising the whole Ortles-Cevedale mountain range, with its numerous lateral valleys. Within its territory, all the various alpine environments are present: from glaciers at the highest altitudes to mountain pastures and agricultural terraces down to the valley bottom. Within the Park, you may find large areas of woodland, agriculturally-used land, high-lying haybarns that are inhabited all the year round, hamlets and villages. The Park is also characterized by a harmonious mix of near-natural landscapes and land that has been cultivated for centuries. Where glacial lakes and lively mountain streams meet, the hydrogeological conditions create particular landmarks. Due to its wide altitudinal range and the morphological variety of the territory, the Park contains vast ecosystems that are rich in vegetation and wildlife. It is, however, easy to imagine how different interests may collide: on the one hand, the protection and maintenance of a natural area and, on the other hand, progress-oriented activities and new technological resources. The aim is to guarantee the Park's sustainable development, by maintaining the quality and regenerative capacities of natural resources, ecosystem integrity and biological diversity, and by ensuring well-being, as well as economic, social and cultural opportunities. 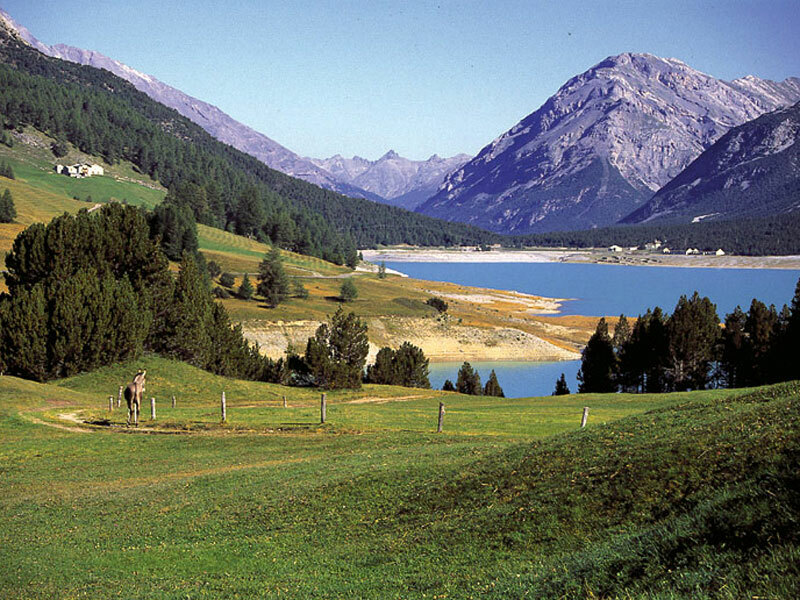 Stelvio National Park was established in 1935. For sixty years it was managed by the National Forestry Commission and the State Forestry Corps. 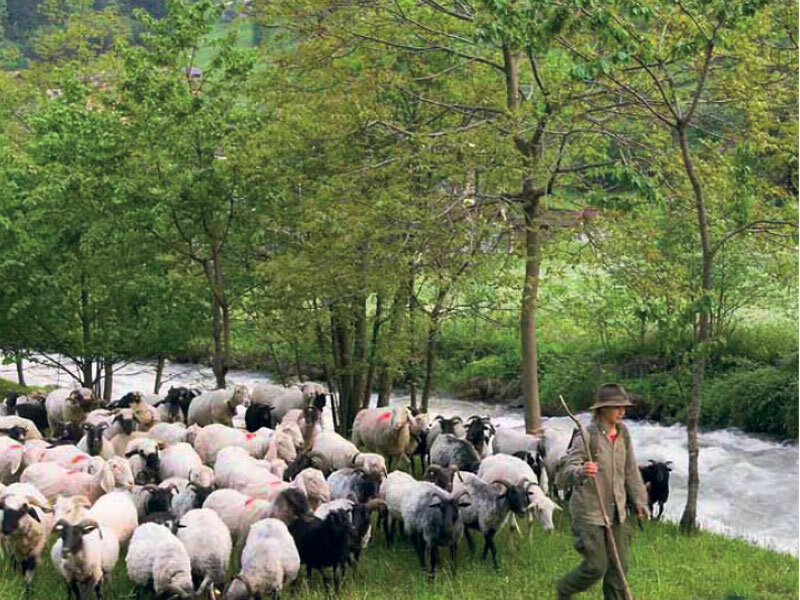 In the 1970s, when the administrative responsibility for smallholdings, hunting and fisheries, agriculture and forestry passed to the two Autonomous Provinces of Bolzano-South Tyrol and Trento, it was decided that the management of the protected area should be handed over to a Consortium. This Consortium consists of the State, the two Autonomous Provinces and the Region of Lombardy, as determined by legislation 394 of 1991, thereby ensuring the joint administration of the Park. On 26 November 1993, after long and difficult negotiations, a Decree of the Prime Minister set up a Consortium for the management of Stelvio National Park. This Consortium consists of four institutional organs. The President and the Directive Council give out general directives and ensure that scientific and educational objectives are reached, and that nature protection aims are put into practice. 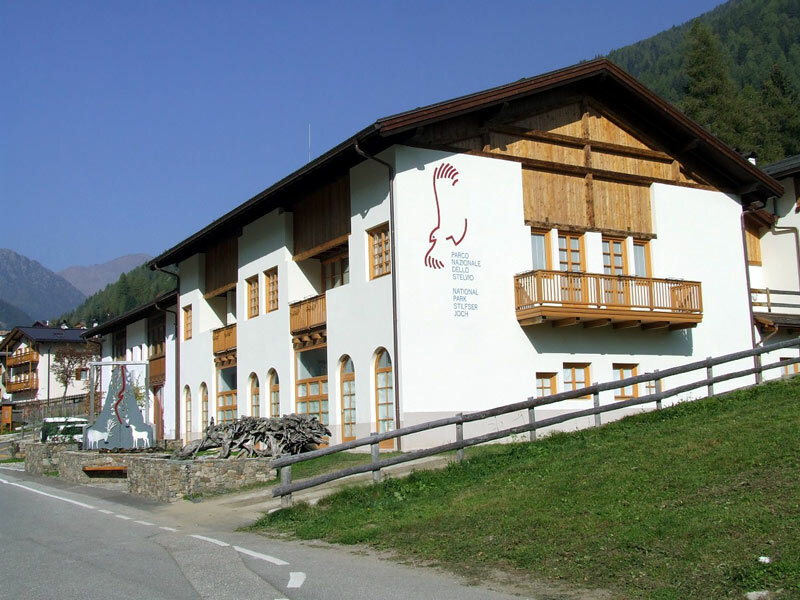 The three Managing Committees – for the Region of Lombardy, the Autonomous Province of Bolzano-South Tyrol and the Autonomous Province of Trento – through their respective Regional Offices, are in charge of the day-to-day administration of the three sections of the Park. The Commission of Financial Auditors is responsible for financial accounting. 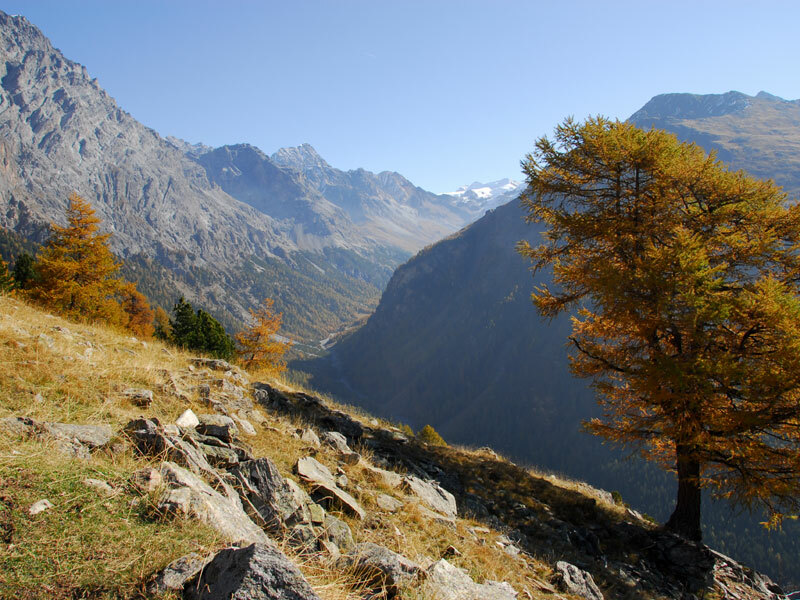 In Lombardy, the surveillance and control of the Park's territory is the responsibility of the State Forestry Corps, whereas in the two provinces of Bolzano-South Tyrol and Trentino it is the duty of the Provincial Forestry Rangers. In the imposing mountain range of Stelvio National Park, glaciers and the erosive action of mountain streams created numerous valleys that, in time, were colonized by man to a greater or lesser degree. Each valley has distinctive characteristics: for example the mounds of scree in the Venosta Valley, which are amongst the most extensive in the entire alpine range; the elongated Martello Valley, whose upper part is dominated by the Cevedale peak; and the Trafoi Valley at the foot of Mount Ortles and other ice-covered peaks. The lush-green Ultimo Valley is rich in streams and lakes just as the Rabbi Valley, which, like the Peio Valley, is well-known for its mineral and thermal waters. 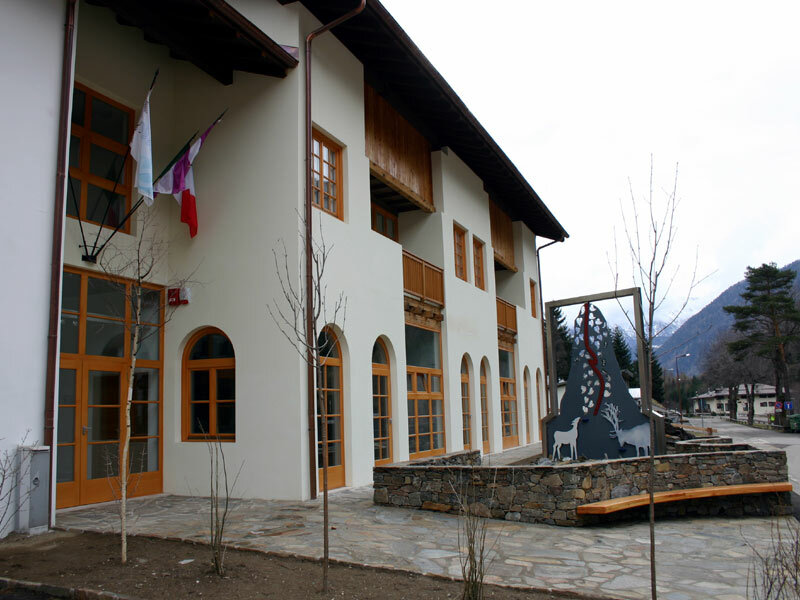 However, spa treatment has a long tradition also in the Valtellina Valley at Bormio. The Park's principal valleys also constituted the first thoroughfares, with ancient trails that have been used by hunters, by miners in search of valuable minerals and for trading goods since pre-historic times. 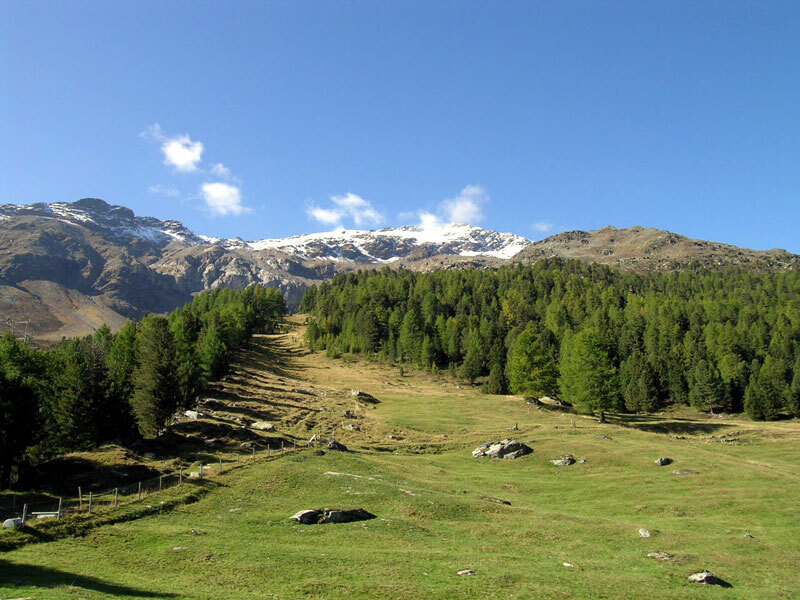 The road leading from Bormio to the towers of Fraele, and thence into the Engadin and Tyrol, is a good example. The important market-town of Glorenza, still surrounded by its well-maintained, mediaeval town walls today, lies at one of its crossroads, at the outskirts of the Park. Alongside these ancient communication routes, villages and hamlets came into being, from which, around the 13th century, man also colonized higher altitudes in search of pasture ground for the cattle's seasonal migration between valley and mountain pastures – an integral part of the rural economy and indispensable for the survival of the valley communities. Some of these summer farms are still in use today and offer hospitality to the Park's visitors. Very much simplified, the territory of Stelvio National Park is made up of two tectonic plates sliding one over the other during the orogenic processes that formed the Alps, when the collision of the African and European plates compressed their edges, leading to a thickening of the Earth's crust. As a result, there are various rock types in the Park today, mainly metamorphic rocks (i.e. rocks of different origin) transformed by great heat and pressure, such as the Venostan schists, phyllitic gneiss and the pure white marble of Lasa. Then there is the Tonale gneiss formation, with distinctive intercalations like the marble in the Canè Valley. A considerable layer of mica schists connects the Rabbi and Peio valleys, leading up to the Corno dei Tre Signori peak. Furthermore, limestone and dolomite rock overlie the schists that form the impressive Ortles peak. These formations are also found in the Zebrù Valley, where the mountain stream by the same name has excavated its own bed along a fracture line between sedimentary and metamorphic rocks that form the foothills of Mount Confinale. The Park's territory also contains igneous rocks, such as the plutons of Sondalo. The Serottini group is made up of granodiorite, which is also present in the area north of the Cercen Pass. Finally, there are strata of phyllitic quartz, like those that separate the Martello Valley from the Ultimo Valley, including the peaks of the Cevedale group. In more recent geological times, during the Pleistocene (from 1.5 million to 10,000 years ago), there were at least five major glaciations contributing in a decisive way to the formation of the alpine landscape as we see it today. Enormous glaciers brought forth large glacial tongues that reached down into the valleys. After the glaciers' retreat, U-shaped valleys, hollows filled with meltwater, huge moraines and alluvial fans remained. 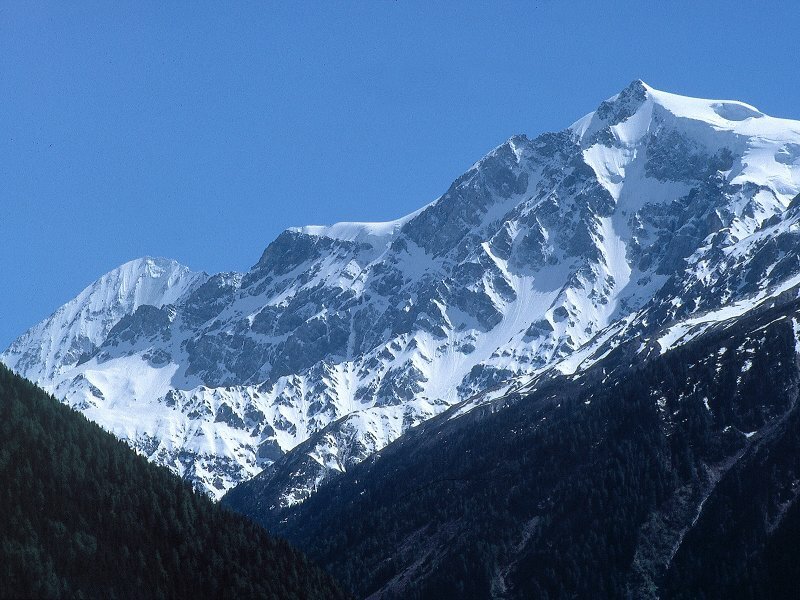 The biggest glaciated area in the Central Alps today is found in the Lombardy section of the Park, where the largest glacier, the Forni Glacier, covers about twelve square kilometres. 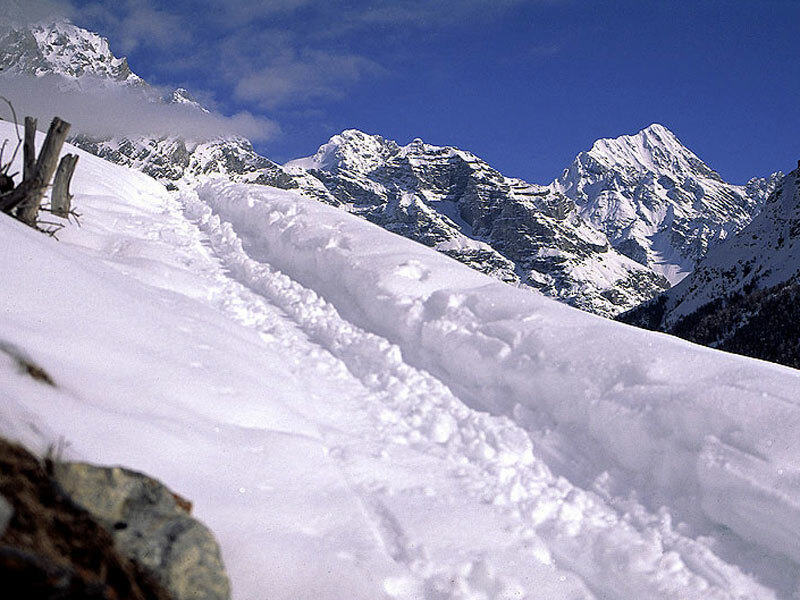 Around Stelvio Pass, other spectacular glaciers are the destination of mountain enthusiasts. 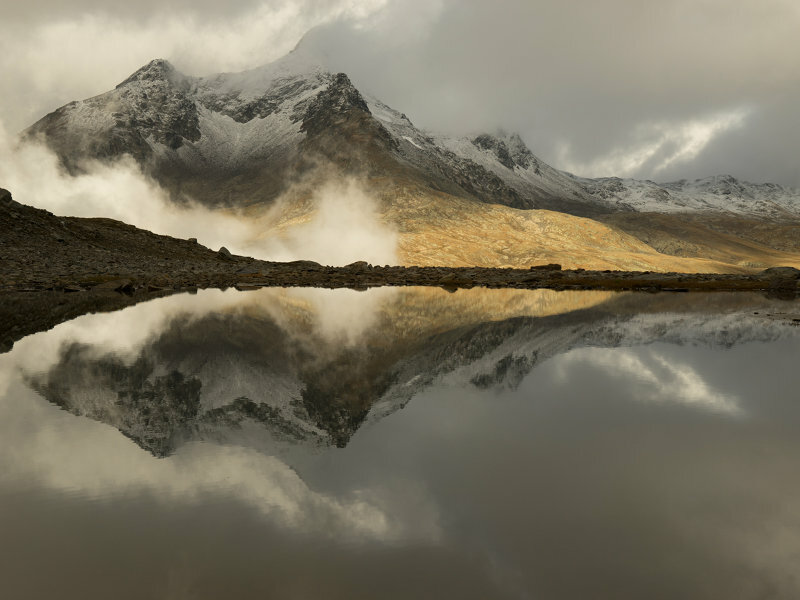 The combined forces of ice and water have created alpine lakes of rare beauty, whilst glacial meltwater transports large quantities of earth, sand, pebbles and detritus into the valley. 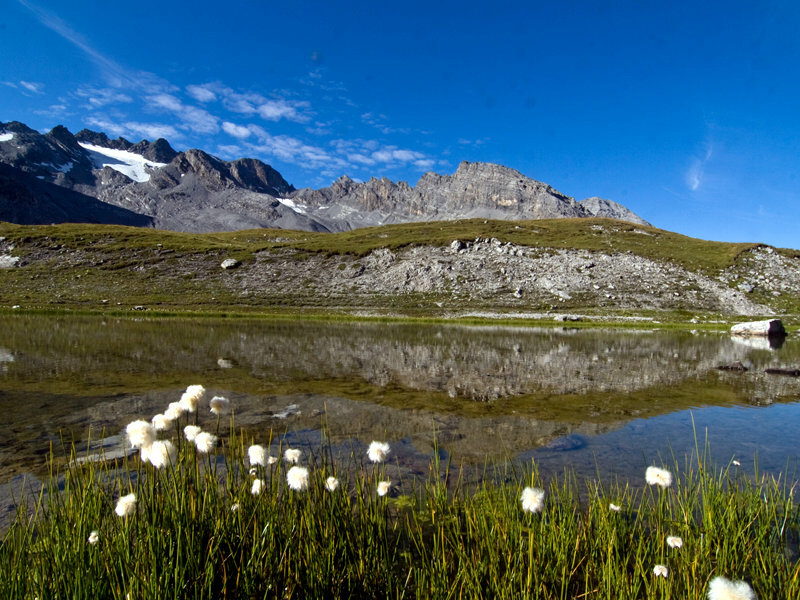 The central area of Stelvio National Park is mostly covered by extensive glaciers and everlasting snow. These enormous masses of ice and snow represent an important water reserve: water that runs downhill in little brooks, wild streams, into apparently still ponds and comes down thunderous waterfalls. In the Venosta Valley, where rainfall is scarce, glacial meltwater is a limited resource and vital for agriculture. For centuries now, irrigation channels, so-called "Waale", have been used to carry precious water from mountain peaks to the fields down in the valley. The streams and rivers that run into the valleys of Stelvio National Park have the highest water levels during the hot summer months. Much of this water is held in reservoirs for the production of hydroelectric energy; the water's surface mirrors the scenery of the landscape, in colours that vary from one valley to the next. 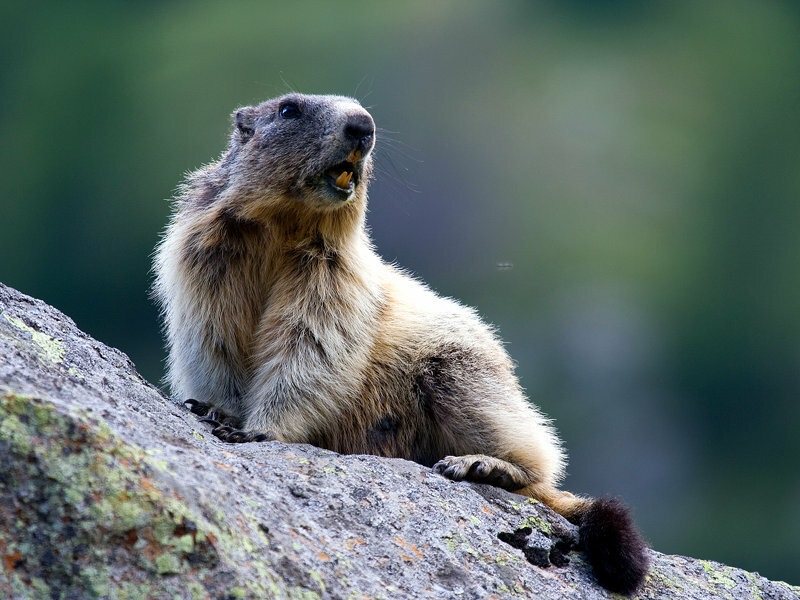 Stelvio National Park is populated by numerous alpine animal species. Red deer live in herds in dense woodland, and roe deer on the woodland edge. 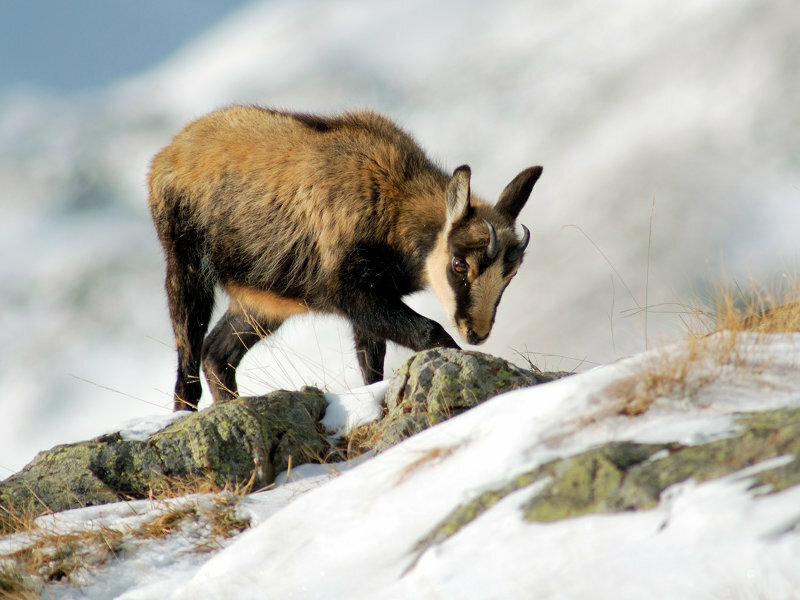 At higher altitudes, we find chamois and in some valleys the alpine ibex. There are sound populations of fox, marmot and stoat, large numbers of squirrels and hares; badger and weasel are more rarely seen. Large carnivores are occasionally seen, but so far there are no resident populations. 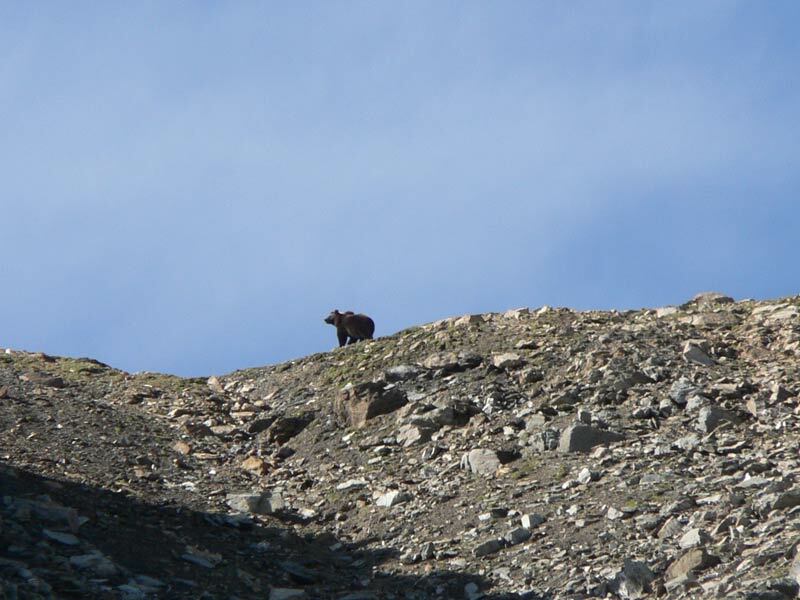 Recently, a single lynx and a solitary wolf were observed and, in the last five years, young individuals of male brown bears have been sighted fairly frequently. Then there are kestrel, peregrine falcon, northern goshawk, buzzard and sparrowhawk; among nocturnal birds of prey we find eagle owl, Tengmalm's and pygmy owl. Coniferous woodlands are the ideal habitat for capercaillie and hazel grouse, whereas the black grouse prefers the upper tree line. Still higher altitudes, between alpine grassland and grassy cliff formations, are home to ptarmigan and rock partridge. Then there are at least twenty-six pairs of golden eagle, and the bearded vulture, too, has found its ideal home in Stelvio National Park. 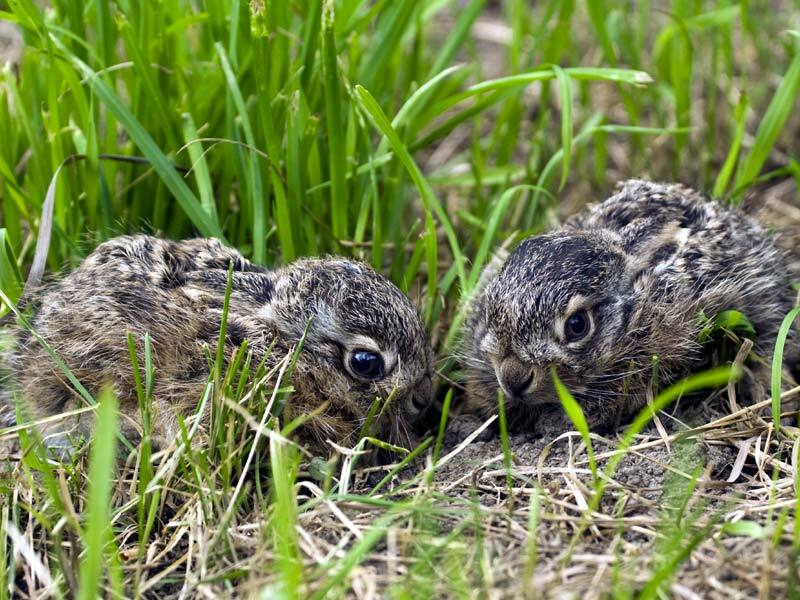 At present, there are four reproducing pairs. Since 1998, when the first pair settled here, twenty-seven bearded vultures have been born within the protected area. Water courses and alpine lakes are populated by brown trout, arctic char and marble trout. The common frog is well distributed throughout the Park. Common lizard and European viper are the most frequent reptiles. Asp viper, grass snake, smooth snake and slow-worm are more sparsely distributed. Finally, the insects that complete the Park's food chain should not be forgotten. Nature lovers will find numerous tree species within the Park, and the plant variety exceeds the expectations of even the most demanding visitor. 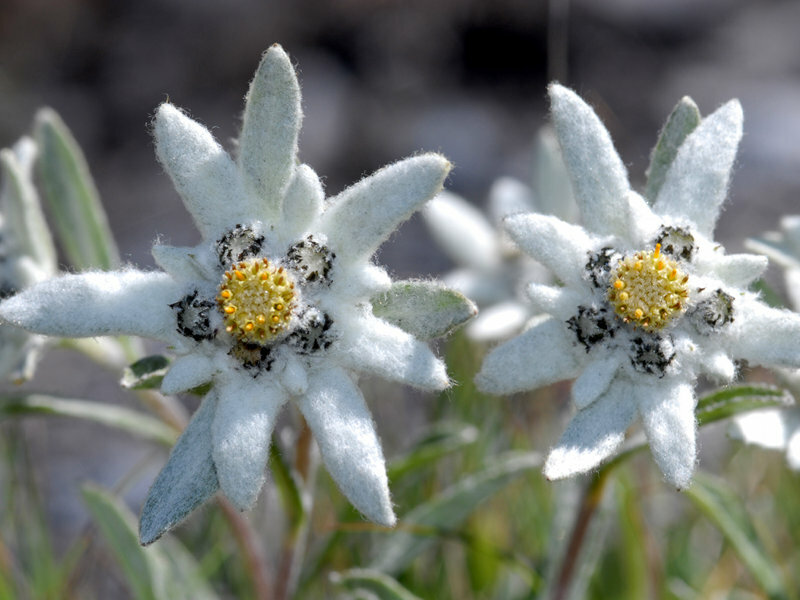 The wide altitudinal range, from the valley bottom to the peak of the Ortles, as well as different soil types and particular microclimatic conditions, provide habitats to many plant species, including quite rare ones, such as the glacier buttercup (growing above 3500 m altitude) or the dwarf snowbell. From the wetlands to rocky screes and on all soil types, a wide range of multi-coloured plant species are found: a real feast for the eyes. Owing to the Park's large size and wide altitudinal range, from 700 m to almost 4000 m on the Ortles, it contains a considerable variety of ecosystems: from wetlands with their alders to birch woodland, then leading up to coniferous woodlands that reach well over 2000 m altitude in all the Park's valleys. Norway spruce and European larch dominate virtually all slopes; Arolla pine is frequent; there is Scots pine as well as a few fine examples of silver fir. The woodlands constitute ideal habitats for most of the Park's wildlife, but they also have the important function of retaining precipitation and stabilizing the soil, thereby protecting human settlements. In the past, the importance of woodlands was well-understood and their management clearly defined in village statutes and in each community's "Charter of Rules" that date back to the Middle Ages. Long-lasting geomorphological processes have shaped the mountain tops and valleys of this beautiful protected area, but during the last centuries, man's presence has significantly changed the natural landscape. Woodlands were clear-felled to create pasture ground; fields were cultivated and terraces built across slopes to increase agricultural production; villages, mule tracks and roads were built; mines exploited; and, more recently, reservoirs made for the production of hydroelectric energy. Everywhere, the Park's valleys bear witness to rural architecture and sacred art, but there are also handicraft workshops, mills and sawmills, as well as some ancient refuges for the first tourists: a kind of architectural heritage that is still alive today in this man-made landscape that conserves many natural aspects to be discovered!